Greetings Purcell, Britten, Holst and Ragazzi Families! Twelve months from now (wow!) we will be nearing the BEGINNING of our Scotland adventure! Since this email is reaching every eligible boychoir member we want to take this opportunity to say two things before you continue reading through the important and time-sensitive details below. First, we want to encourage everyone to consider this tour. 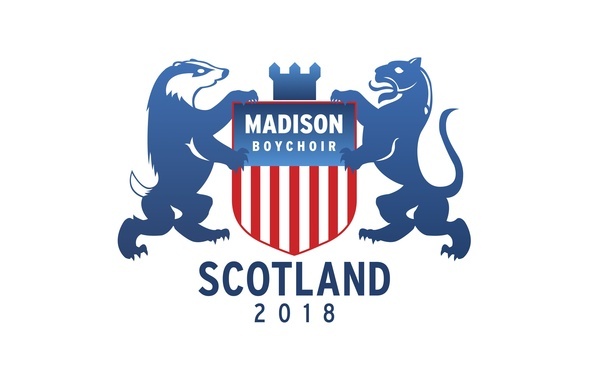 If you were part of the 2014 Scotland tour and are wondering if 2018 will be a repeat of 2014, we want to assure you that the 2018 tour will be a different experience--from the performance venues to the people you will meet, not to mention the repertoire and the fact that you are now four years older! The familiar places like Hillhead, Seaton Park and Dunnottar will be fun to explore with older eyes and your memories from 2014. Second, we know this trip is not the right experience at this time for everyone and we encourage you to consider carefully your son's readiness for this type of commitment. For those of you on the fence, wondering if this trip is right for your son, please feel free to talk to us. We can describe what the days are like and what's expected from each participant. Chaperone Application Deadline is Approaching! If you are interested in joining us as a chaperone on this trip, your application must be received by August 1! It does not matter to us if you are a mom or a dad--if you have interest, please apply!